Dentists use X-rays to diagnose problems with the teeth, mouth, gums and jaw. They are used to check for cavities and for the presence of decay. As some X-rays shows the root of the tooth, they can also check for abscesses, cysts, tumours, infection and bone loss. These often cannot be spotted by a visual examination, meaning that it is important that frequent dental X-rays are taken. Children should also have X-rays taken in order to check for the location of permanent teeth growing in the jaw. X-rays should always be taken when you first go to a new dentist. This is so your mouth can be assessed and a determination can be made of whether you require any treatment. After this, they should be taken every 1-2 years. More frequent X-rays are required in certain circumstances, particularly if you have poor oral hygiene or suffer from cavities. What about the radiation risks? Dental X-rays expose you to a very low level of radiation, lower than levels found naturally in some areas. The lifetime additional risk of fatal cancer per examination following a bitewing X-ray is one in a few million (as reported by Public Health England), which is grossly outweighed by the benefits of regular dental X-rays. We have secured substantial claims for many clients following the failure of dentists to take regular X-rays. 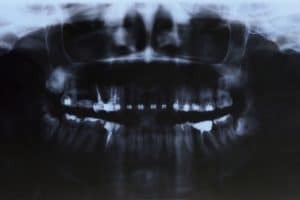 If you have suffered from a dentist failing to take X-rays which has resulted in a delayed diagnosed or the need for treatment, you may have a claim for Dental Negligence and it is important to seek specialist advice to ensure your treatment is fully investigated and compensation achieved for your future treatment requirements. As Dental Negligence specialists, we can advise you on the merits of a possible dental negligence claim and guide you through the claim process.